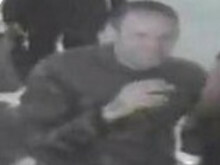 Police are appealing for information following a racially aggravated assault in Soho. On Monday, 18 February at around 19:12hrs, the victim, a man in his forties, was walking down Dean Street, towards Old Compton Street. As he passed the Soho Theatre, he stopped to confront the suspect - a white male in his forties - who was making racist comments about some people inside a restaurant and pointing at them. The victim challenged him on his behaviour. The suspect then became aggressive, at which point the victim got his phone out and began to record. The suspect slapped the phone out of the victim’s hands, causing it to fall to the floor. The victim bent down to pick his phone up and was punched in the face by the suspect, who racially abused him before leaving the area. Members of the public came to the victim’s aid who suffered some injuries to his face which required medical attention. 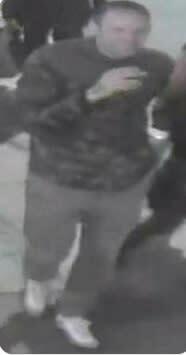 Police have issued an image of a man they would like to speak to in connection with the incident. + The Met has long since recognised the impact of hate crime on communities and the hidden nature of this crime, which remains largely under reported and it stands together with policing partners, colleagues and groups to investigate all hate crime allegations, support victims and their families and bring perpetrators to justice. Police would appeal to anyone who witnesses or suffers any hate of any type to immediately report it so that action can quickly be taken and catch those who are responsible. Hate Crime can be reported through 999 in an emergency, by dialling 101 in a non-emergency, directly at a police station, through the MOPAC Hate Crime app or through community reporting methods such as Tell mama or the CST.